WOM — The Idiot Workshop. The feminist comedy uprising. WOM began when Claire, Grace, Meera, & Lucia shared a bunk bed in a cabin with 2 available kings sized beds. 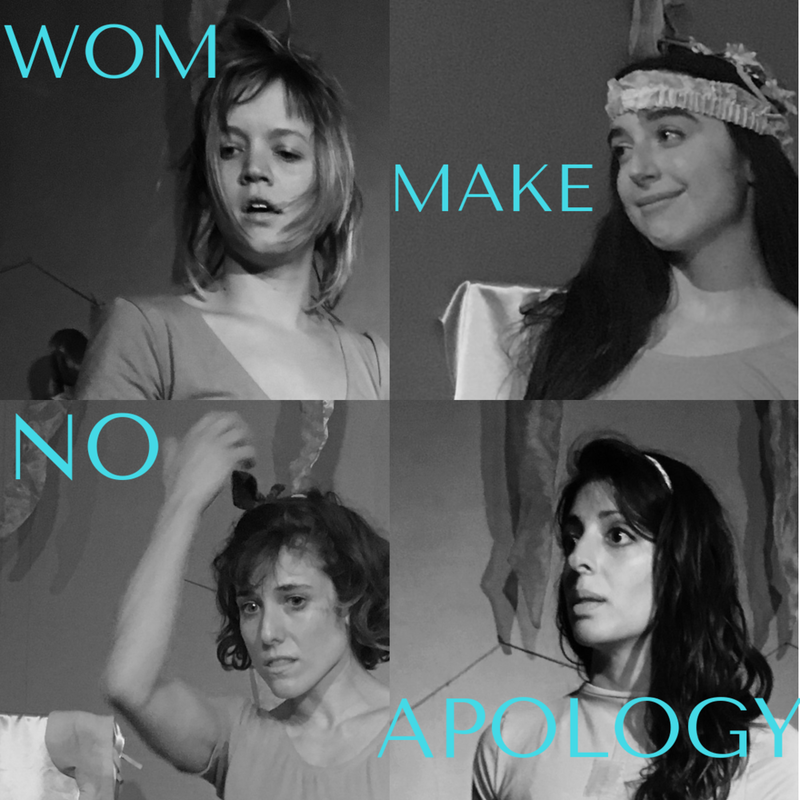 WOM is where we reclaim rage, sexuality, girlhood, & household duties. Set inside Allison Honeycutt's art installation. Directed by John Gilkey. It's a comedy show. Created in development with Celebration Barn Theater.